Selected items will be reduced from the 10th to the 31st of January! Please contact via email for further details or visit us directly at the studio on Thursday the 10th, 17th, 24th, or 31st of January. December takes us to South Kensington for our next event, a charity Christmas market hosted by Stein's Berlin in partnership with Lufthansa, Swiss Air, Austrian Airlines, and the Goethe Institute. The beneficiary of this event will be the Vineyard Community Centre in Richmond. 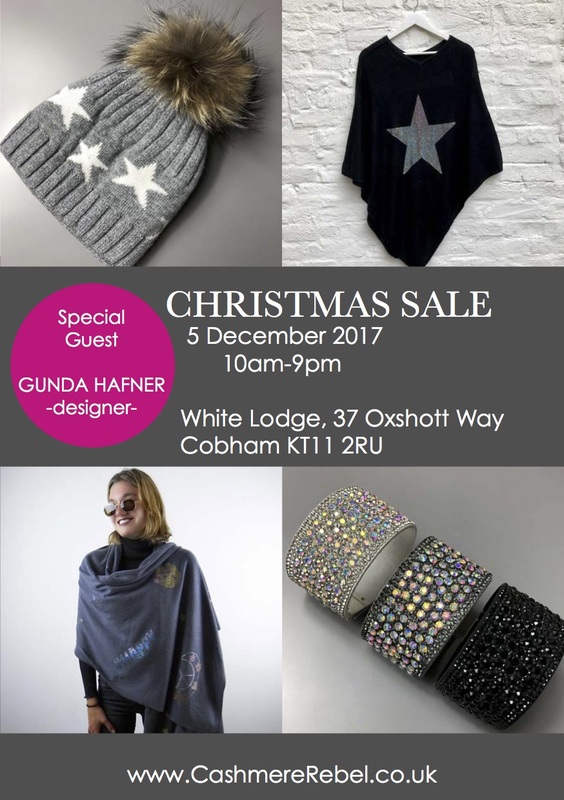 The Christmas Market will offer a selection of stalls including GH LTD, perfect to do some Christmas shopping or simply enjoy some festive foods, like Lebkuchen, Stollen, and mulled wine. GH LTD will be there on the 30th of November and the 1st, 2nd, 8th and 9th of December! Plenty of opportunities to pop by and not miss out on this event. From next Thursday, the 22nd of November, we will be hosting exclusive sale events with our most recent collection, AW18/19, every week. Come join us for some pre-Christmas shopping. Bring a friend and get a reward (15% discount) on a personal one-of-a-kind shopping experience. We are located just 100m from Surbiton Station with a public car park opposite the studio. You can contact us for a one-on-one appointment if you prefer. Chunky knits in lush wool and silk, oversized jackets and coats, ecofur, corduroy, suits and trenchcoats, silk shirts, skirts, belts and hats. All you need to be autumn ready! Don‘t miss this opportunity to get your hands on these one-of-a-kind pieces! Bring a friend and get a reward (15% discount) on a personal one-of-a-kind shopping experience. We are excited to announce a photoshoot of our upcoming collection AW18/19 on Friday the 7th of September! Make sure to keep up to date with any photos of our new collection by following our social media pages. Our SS18 collection will be featured in Klagenfurt's designer store, Mojo, through all of August. This will be located in Innerestadt. 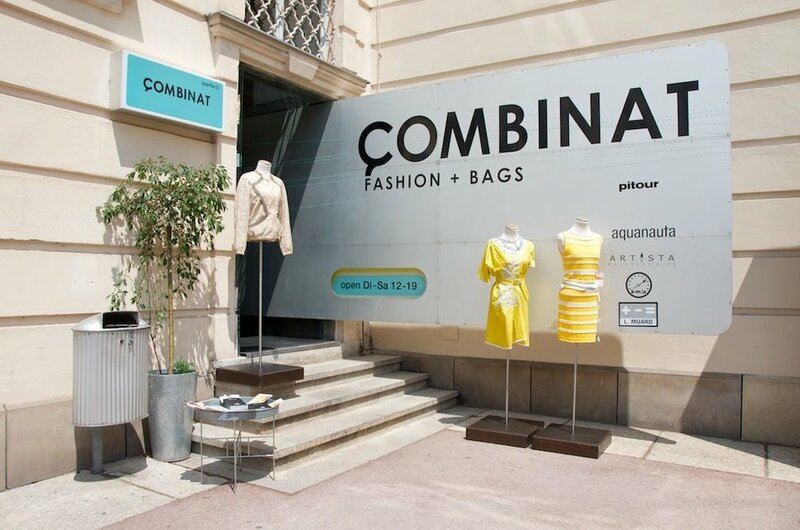 We will also be featuring our clothes in Vienna's designer Store, Combinat, through all of July. This will be located in Museums Quatier. Photographers will come to the pop-up store to take pictures of models and customers wearing any of the designers' clothes or accessories presented in the store. Anyone is welcome to come! We are very proud to announce our first pop-up store in Marylebone! This is a concept store in cooperation with London Organic. It will feature a wide range of products from our newest collection SS18, but only in limited quantities. We currently have our autumn winter collection for sale in the designer store Combinat Museumsquartier in Vienna Austria. The launch of our very first collection! Everyone is welcome to drop by the venue. There will be a presentation of the AW16/17 clothes as well as canapés and drinks.